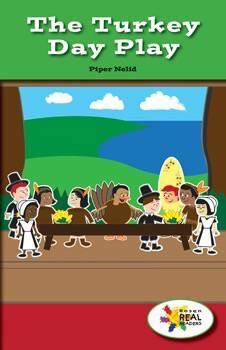 In this fictional narrative, colorful illustrations will help readers learn who was involved in the first Thanksgiving and what they did together. Adam and his classmates put on a Thanksgiving Day play. Domain-specific vocabulary and key ideas help readers learn about Thanksgiving. This fiction title is paired with the nonfiction title Art for Thanksgiving.